Materials and techniques: Acrylic paint, felt, and newspaper/magazine. About: The students that worked on this piece believe knowledge is power. 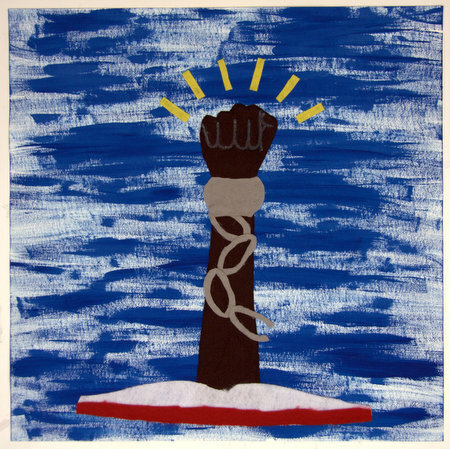 The represented this by using the image of a fist which they believe is strong pushing through a book with the word hope collaged at the top. They believe this was a very strong and moving work and are happy with how it turned out.